The Letter ‘Y’ makes its appearance besides the official vai logo to raise the anticipation level higher for the upcoming Steve Vai album. The latest post on social networking site announced a teaser for the curious fans. 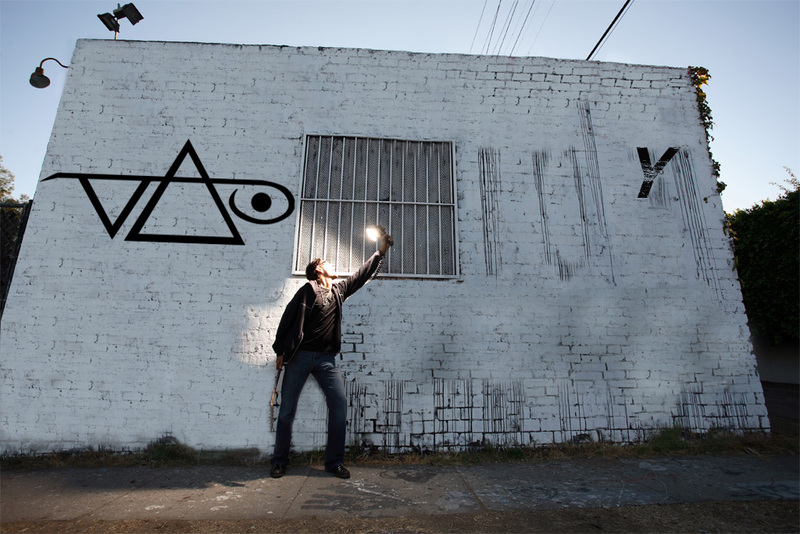 Source: http://www.vai.com/ Steve Vai posing in front of the wall with the graffit'Y' of the partial album name and the official logo! The official site has also announced the launch of GuitarTV.com an interactive, 24-hour online video channel. The main highlights of the video channel will include performances of the world’s greatest guitar players in multiple genres, live concerts, guitar related movies and plenty more. GuitarTV.com will be launched on May 10th accompanying a live event from Musicians Institute in Hollywood. The official site has announced an Ibanez JEM as prize for fans who will RSVP & join online for the launch. To get early site access register at www.guitartv.com.